Getting your home ready for resale? Or maybe just looking to spruce the place up before company arrives? The bathroom is the perfect place to start. Bathrooms can be fixed up on a bargain and can make a huge difference in the overall impression of the home. Here are some easy bathroom upgrade tips to give you some inspiration for your next big project. One of the most common complaints about bathrooms is they are “too cluttered.” This is a pet peeve of many, knocking over tooth paste and deodorant containers while trying to shave in the morning or reaching for the body wash and having to pick up half a dozen shampoo bottles. Short of causing a family dilemma by trying to remove everybody’s beloved products, adding additional storage to your bathroom is your best option. This can be done with standalone shelving or a more permanent option, like tiled showered shelving; using tiles you can find at online retailers such as PlumbTile. Adequate shelving will mean more storage, which leads to less clutter and a much better bathroom experience. The centerpiece of your bathroom, the first thing people notice when they go into the bathroom is the sink. Brand new eye catching bathroom sinks can make your bathroom seem like a million bucks,even though you will be paying or fraction of that. Whether you go retro, classic, vintage, high-tech, or modern; the options are endless for sinks. 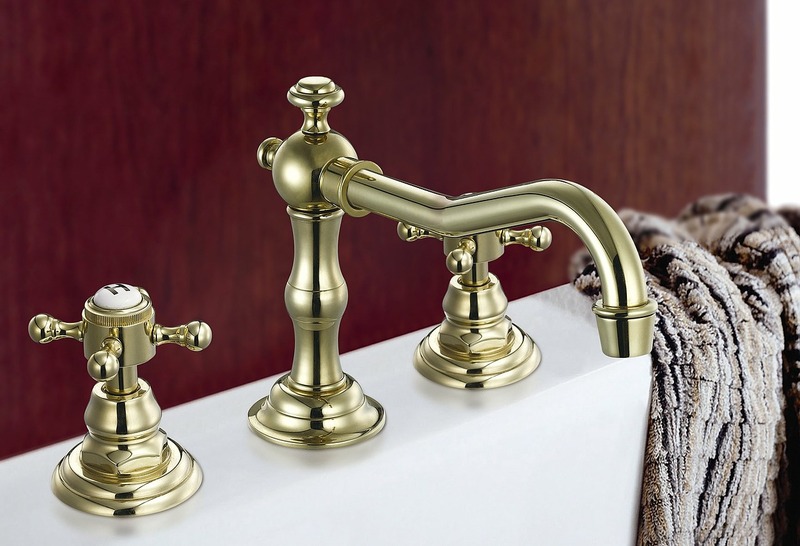 Pick a faucet and basin combination or mix and match to get the perfect fit, this is one of the essential easy bathroom upgrade tips to get your dated bathroom remolded and looking upscale in no time. Another one of the best easy bathroom upgrade tips is the lighting. Even the classiest bathroom will still look dingy without good lighting. If you can’t see the hard work you’ve put it doing your remodel, what is the point? So whether we are talking about the lighting itself or the fixtures; both are important in giving your bathroom a modern, clean look. Fixtures and bulbs can be a quick, easy, and cheap fix for any bathroom. Though if you are doing a complete remodel, re-position, and rewiring your bathroom lighting; you can create a completely new and professional look to change your entire bathroom feel.